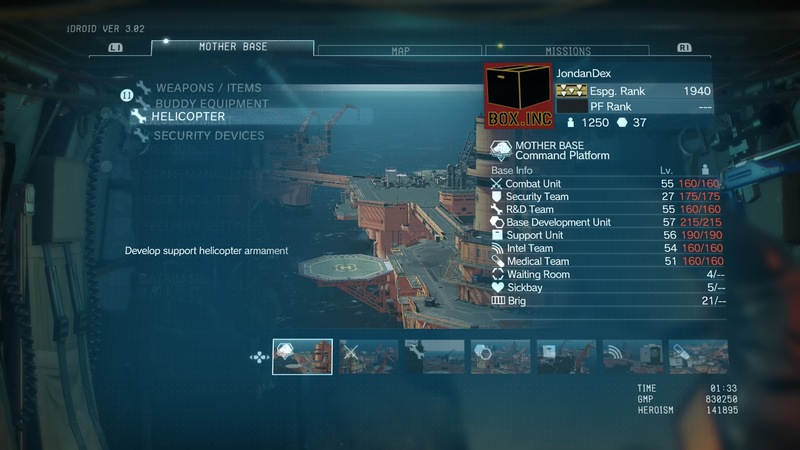 How do you set a default song to play in the helicopter? 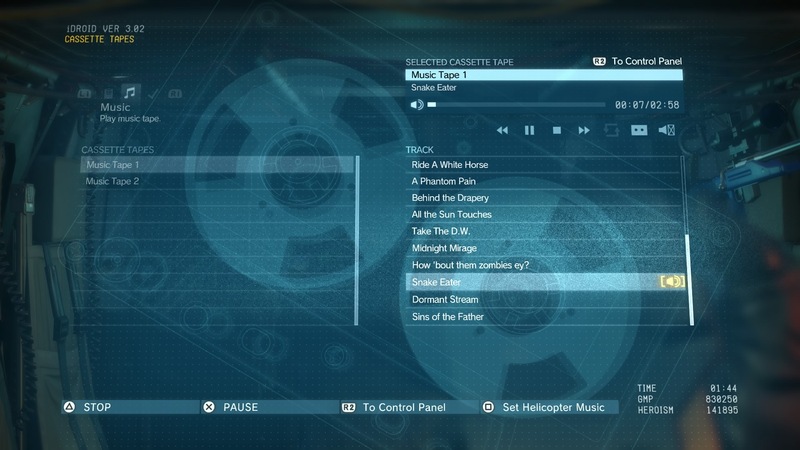 In Metal Gear Solid 5: The Phantom Pain, when you take-off or land, you can set a default song to play. How do you do that? There are a couple of things involved in having your helicopter play music out loud. Since the SPEAKER development is an upgrade, denoted by the giant plus sign on the right side of its icon, you do not need to equip it explicitly. Once development is complete, the helicopter automatically has the loudspeaker built into it. 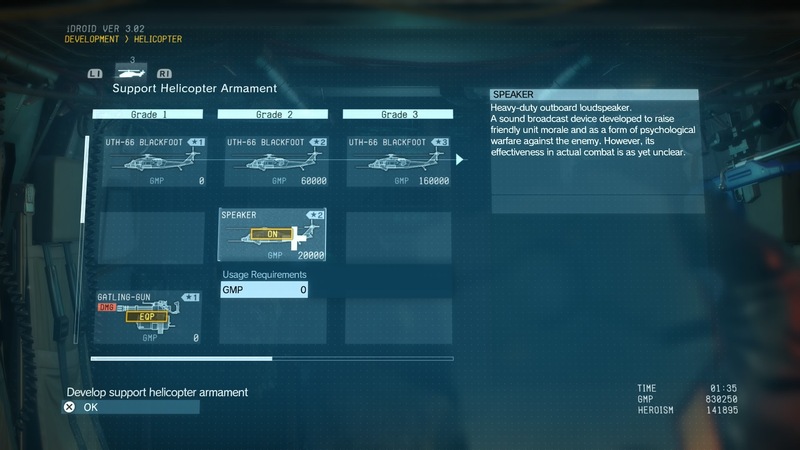 Once you have the desired song highlighted, the button to press is Square (on the PS4) for Set Helicopter Music . Your platform will show the appropriate key bind at the bottom there. I have heard that players on PC can import custom music of their own, but I haven't had any direct experience with that process myself. Not the answer you're looking for? Browse other questions tagged metal-gear-solid-5-the-phantom-pain or ask your own question. How do I increase the bond level for buddies? How do I customize weapons? How do I Fulton child soldiers? Do you have to do the [EXTREME] missions? How do you access Mission 46? Where can I find the zoo on Mother Base? What CQC moves can you do in Metal Gear Solid V: The Phantom Pain? How do I roll around? In Metal Gear Solid V: The Phantom Pain, where is the photo camera? How do you unlock the non-prototype Stealth Camouflage?